Pouring techniques with acrylic colours are very popular at the moment, with artists creating and sharing innovative procedures every day on YouTube. The many variations allow for self-expression, the fun of experimentation and the results are always interesting! 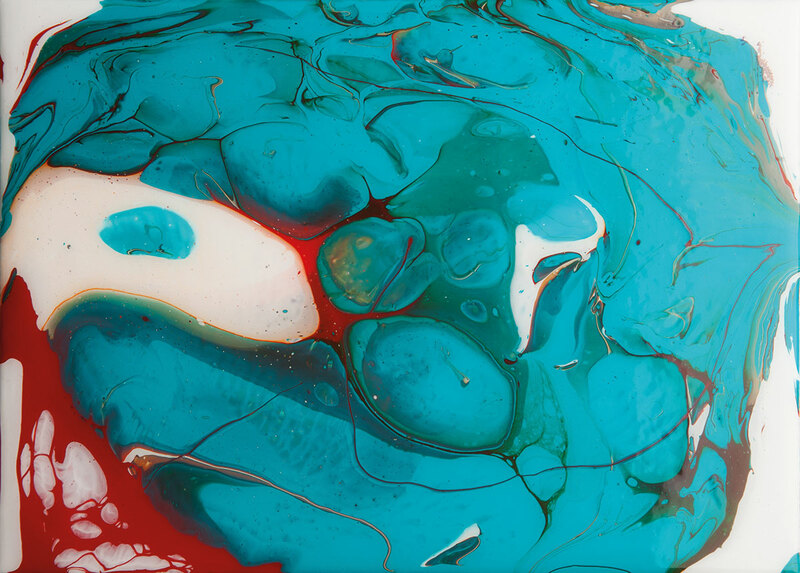 Schmincke makes a very good pouring medium but after feedback from artists they realised they wanted to make a second version whose formula was even better to use if you are adding silicone oil or water to your pour mix. So now you have two types of pouring medium from Schmincke to choose from! Schmincke Pouring Medium is the original, well-established Schmincke pouring medium. 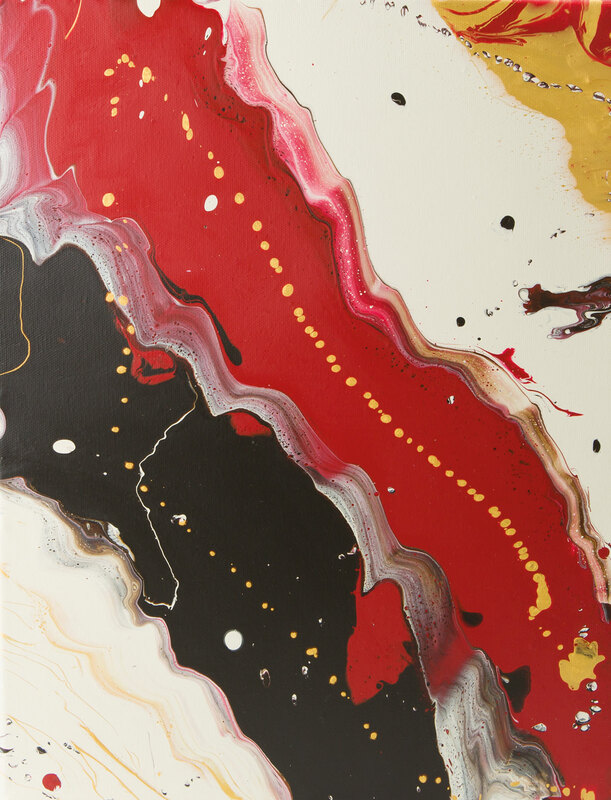 This fluid, glossy, clear medium is mixed with acrylic colours to improve their flow properties. It dries to a transparent, non-sticky and water-resistant layer and can also be used as final lacquer for acrylic paintings. After allowing each layer to dry, it can be poured in several layers on nearly all grease-free surfaces. Available in 250 ml, 500 ml and 1l bottles. Schmincke Pouring Medium S has been designed for pouring techniques that use silicone oil for cell effects. 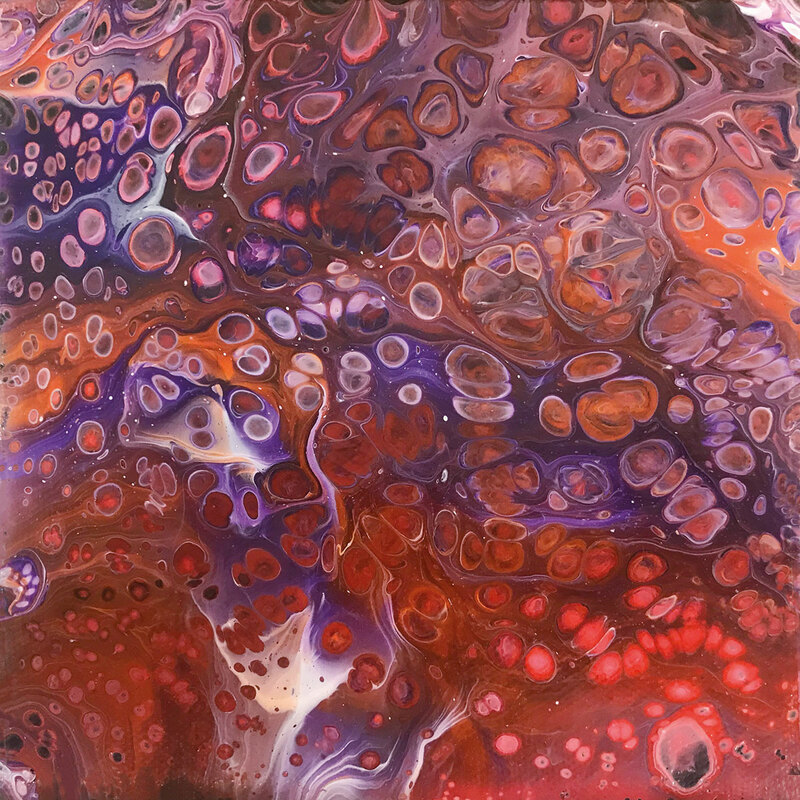 A sought-after effect of the pouring technique is cell formation in the colours, which leads to spectacular results. 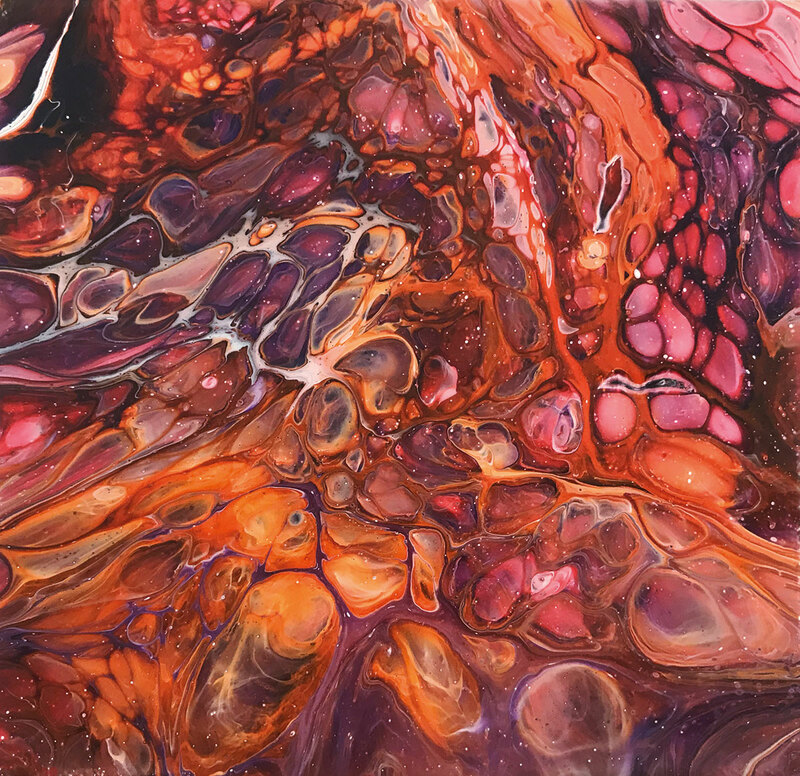 Some cell formation can occur naturally but you can boost it through the addition of some silicone oil (and I’m now hearing of other oils) to the mixture of pouring medium and acrylic colour. Usually just a couple of drops is enough to cause the colours to repel against the oil and break into superb rings and designs. In response to customer requests, the Pouring Medium S was specially developed as a medium for cell formation because it can be diluted with water or combined with silicone oil to increase cell formation, neither of which is recommended for the original formula. It dries to a harder, more waterproof finish and forms a light-stable, flexible film. 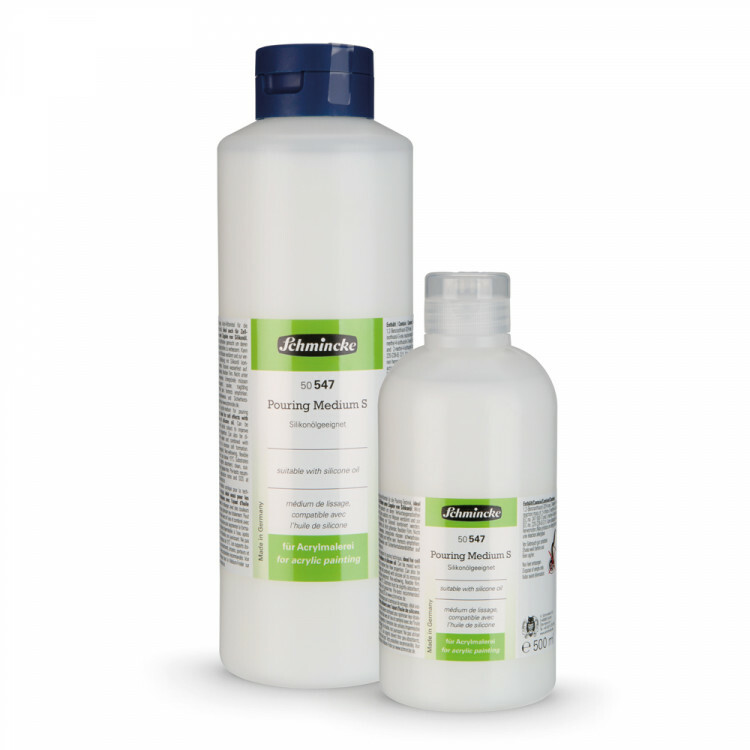 Pouring Medium S is available in 500 ml and 1 litre bottles. 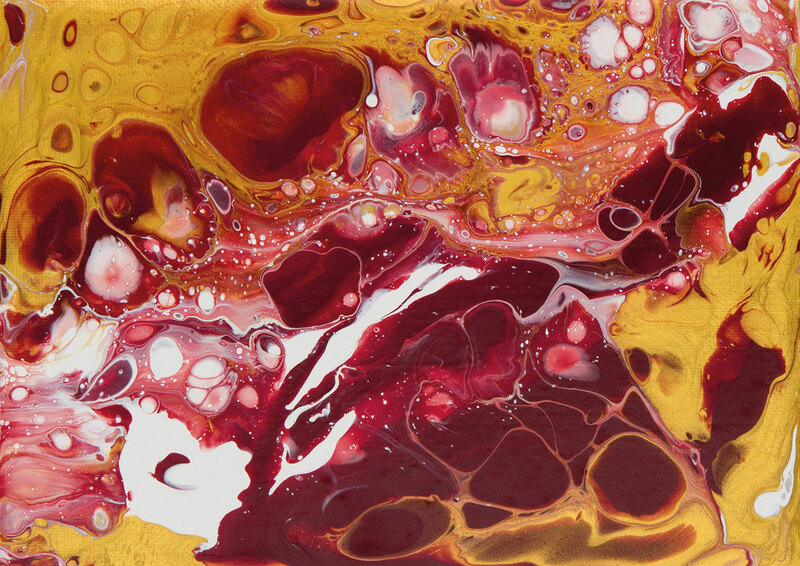 Now you have a choice of pouring mediums from Schmincke. Like all acrylics, pouring medium doesn’t like the cold so do not use below 15°C. 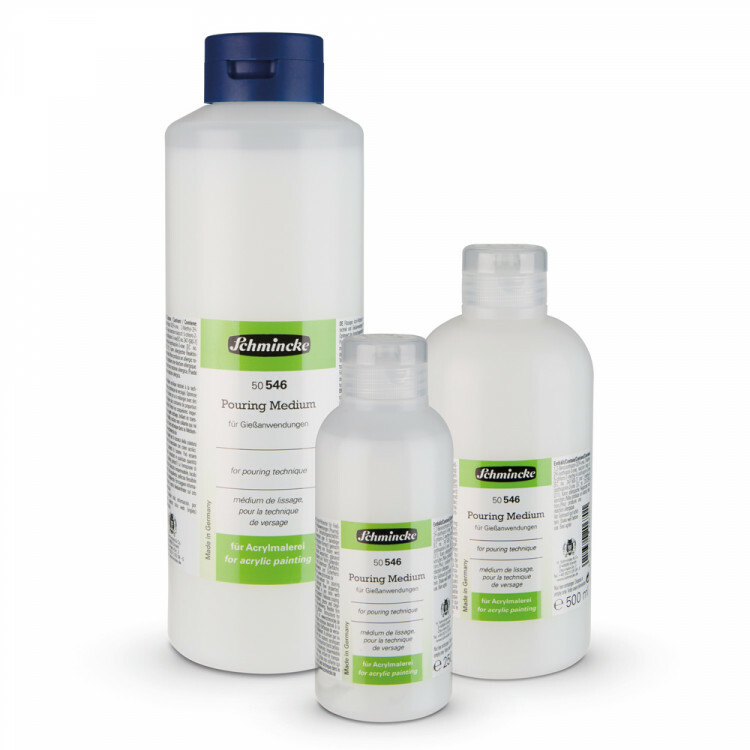 Substrates must be slightly absorbent, clean, and grease-free, pre-tests are recommended. Do not pour the leavings into the drain, let it dry and dispose of with your rubbish. 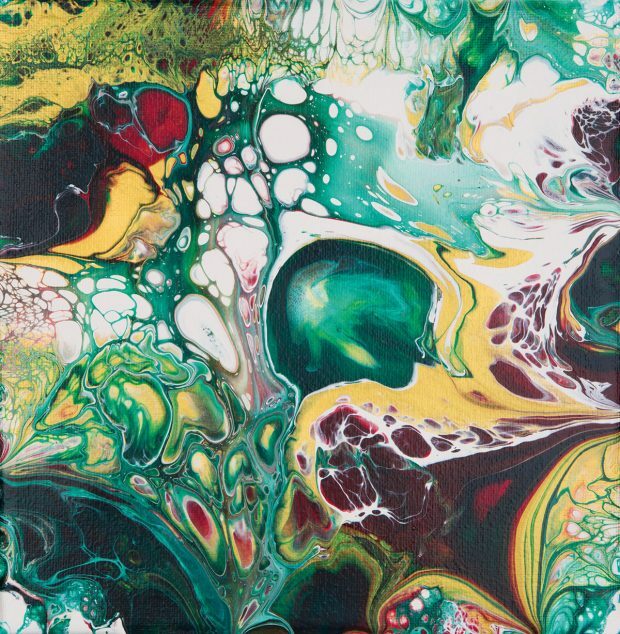 In our Pouring Technique Department you will find mediums, colours, additives and surfaces for use with this art form. Read our earlier posts for more ideas and technical information. Please sign up at the bottom of the Jackson’s front page to receive our weekly emails.